As you probably noticed, we want to be different. Our site has been designed for you - the shopper! We do our best to save you time and money giving you quality products. Start with our 'Favor Finder' tool, helping you narrow down your search for the perfect favor. Our no-hassle return policy takes all the stress out of shopping online. Our one step ordering system brings you from shopping to checkout in one simple process. These are just a few features that separate us from the others. 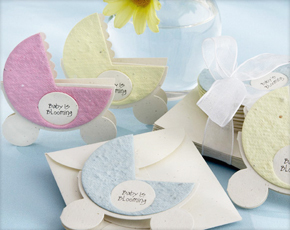 We hope you enjoy shopping at BabyFavors.com. Speak with one of our live agents today to help you find the perfect favor.